About a year and a half ago I designed this fun paper pieced quilt that some of you might have seen hanging in the Michael Miller booth at QuiltCon and Quilt Market earlier this year. 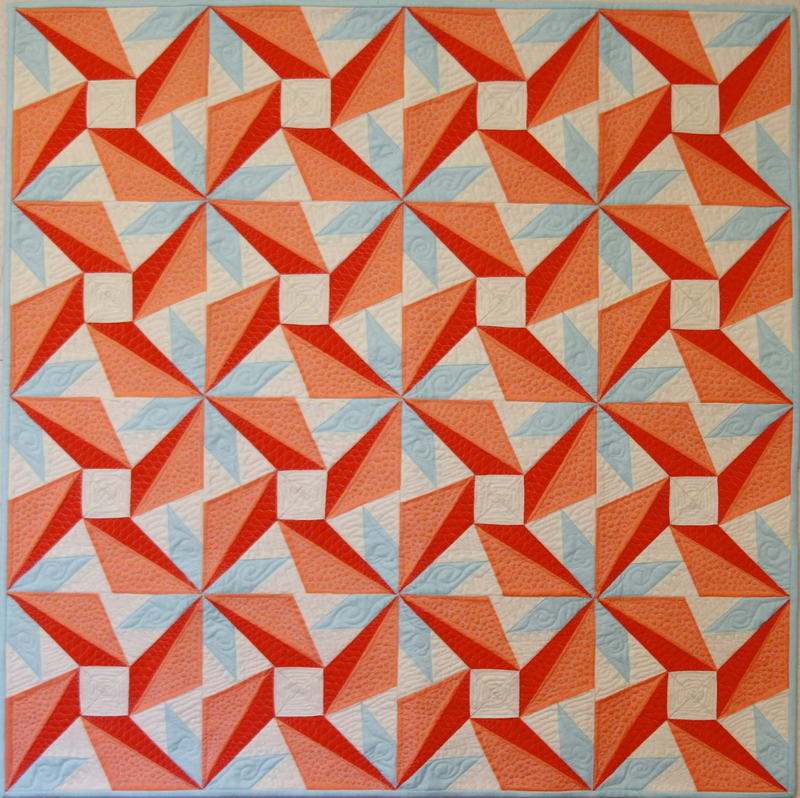 I was obsessed with the color coral when I made this quilt and just had to incorporate the two shades of coral and soft blue into a quilt. I might have to make another quilt using coral and mint sometime soon, my new favorite color to pair with coral. 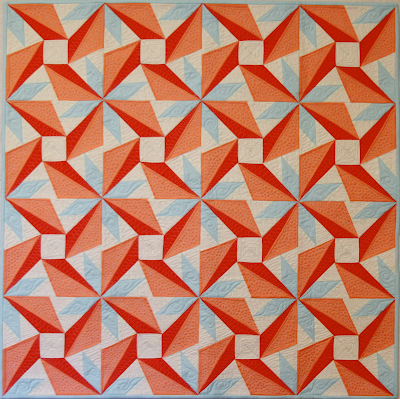 This quilt is made using Michael Miller Cotton Couture solids, my favorite solids to work with. I just find their hand-feel to be so soft and a pleasure to work with. This quilt uses the colors Clementine, Peach, Vanilla and Powder Blue. The clementine color has to be one of my favorites still that Michael Miller puts out. That's saying a lot given that my least favorite color of all time is orange (followed closely by brown). I quilted it on my HandiQuilter longer using SoFine #50 thread. 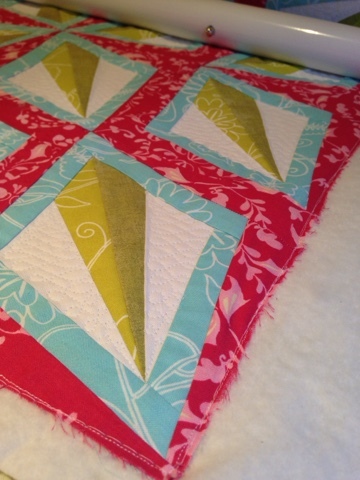 It's been so long since I quilted it, but I'm pretty sure I used #402, a soft white. 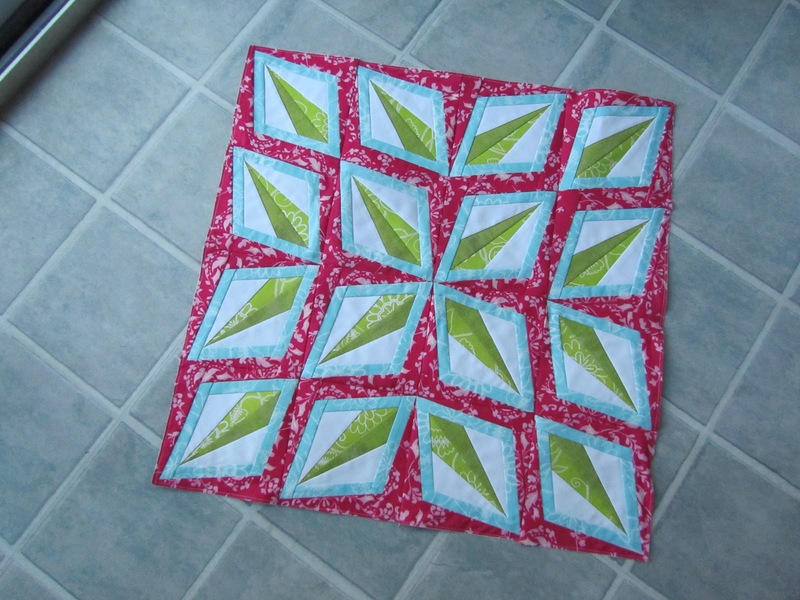 The free pattern for this quilt will be posted to the Michael Miller website soon. 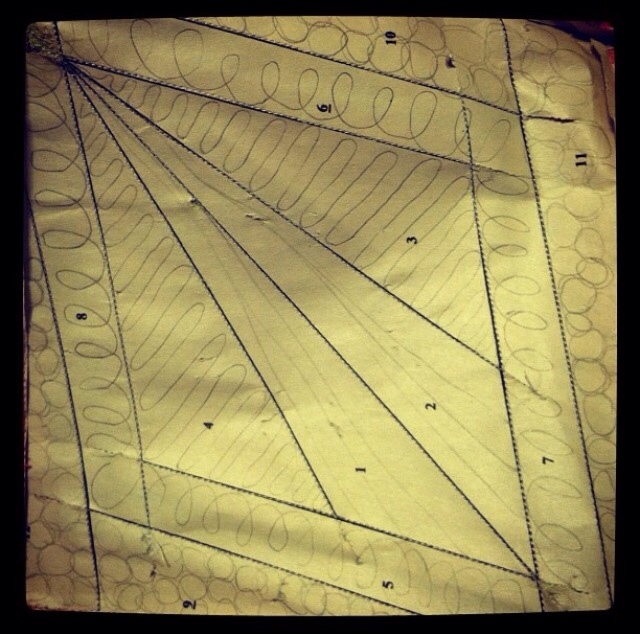 And of course, it's paper pieced for easy assembly!